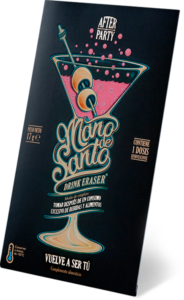 Mano de Santo is a food & beverage supplement that should be taken ideally after overeating or drinking too much. You can enjoy a relaxed and pleasant after-dinner conversation if you take Mano de Santo right after your celebratory meal; the result will be a pleasant and surprising experience. Feel like yourself again with Mano de Santo. 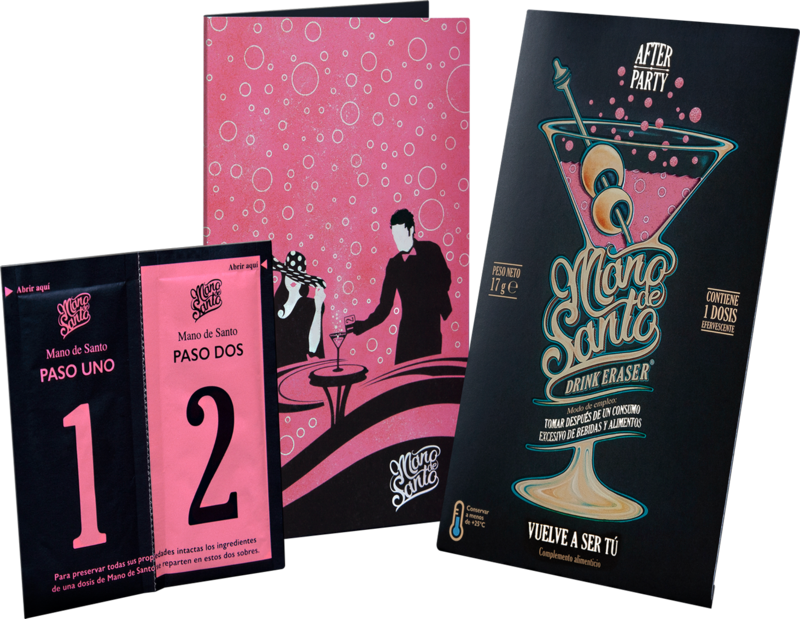 It is prepared with grape derivatives and enriched with mineral salts. It also contains vitamins (B1, B6, B12 and C) that restore the balance of your metabolism and reduce tiredness and fatigue. The combination of these elements stimulates the production of enzymes, helping the body to decompose food and drink quickly and to eliminate them naturally. Help reduce tiredness and fatigue, as well balancing energy metabolism. Obtained from grapes, it acts as a powerful natural antioxidant. Helps the immune system to function normally. An alkaloid known for its stimulating properties. A powerful amino acid that improves concentration.